Bouquet of 12 Yellow Roses. 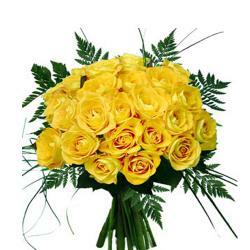 You will find it really hard to resist this amazing yellow rose bouquet. 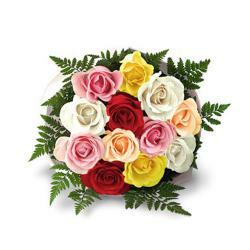 This Bouquet contains a bunch of dozen and shiny sparkling yellow roses. 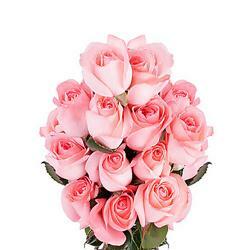 This bouquet will please you with its brightness and beauty alone. These yellow roses come with immaculate cellophane packing for added effect coupled with a super cute matching ribbon bow on it. This gift pack will be a wonderful acquisition for special occasions like anniversaries, birthdays, weddings, Valentines Day and the like. 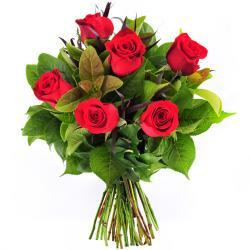 Place your order now at giftacrossindia.com and get same day delivery without any extra delivery charges. 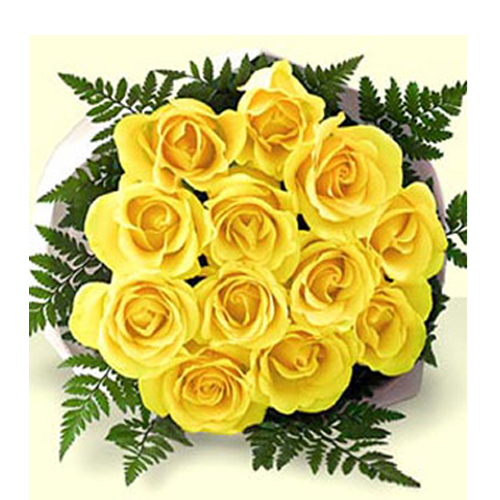 Product Details : Bouquet of 12 Yellow Roses.